Next Generation of Betting | What does the future hold? The betting industry has changed more in the last fifteen years than in the previous forty. In 1961 cash betting in licensed promises was legalised and nothing much changed until 2000. Restrictions were lifted on opening hours and the live streaming of horse races. However, since the start of the millennium online betting and betting exchanges have changed the landscape. We gaze into our crystal ball to try to predict how sports betting will evolve in the next five to ten years and look at the hardware that could transform gambling. The decade from 2005 to 2015 saw massive developments in the gambling sector. Betting is one of the dot.com success stories because it is convenient and relatively anonymous which may be a good or bad thing. 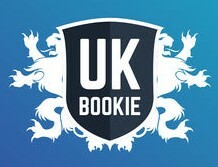 Exchange betting has changed how on-course bookmaking functions in the UK. There has been a movement towards sports betting away from the traditional betting sports of horse racing and greyhounds. In-play betting involves placing bets on a sporting event during the play. It is distinct from pre-match betting when bets are placed before an event begins. The activity is also known as live betting, betting in running and in-running betting. Every major online bookmaker offers an extensive range of in-play betting opportunities in terms of sports and leagues. In-play betting lends itself to trading by which a bettor closes out bets before expiry to guarantee a profit or minimise a loss. Betting exchanges introduced the concept of customers playing the role of the bookmaker by taking bets. The deal scenario is to place a bet at one price and lay a bet at a lower price. Traditional bookmakers now mirror exchange betting by offering a cash out facility. Transmission quality is constantly improving and now events are live streamed even on mobile devices. Bitcoin is a virtual currency or asset that allows users to transact directly with an intermediary. It allows for peer-to-peer financial transactions to take place. It has been called the first crypto currency but a more accurate definition would be a decentralised virtual currency. One of the major advantages of paying for products and services using bitcoin is the lower fees compared to transacting using credit cards. Bitcoin has been innovative and allowed betting to take place beyond the normal boundaries. The gambling industry on the internet is developing rapidly and new technologies and innovations are taking the sector forwards. Let us have a look and see what future developments we can expect. Successful online betting companies must invest heavily in marketing and brand awareness. William Hill is the most trusted betting brand in the UK but their reputation has been built up over the 55 years of operating licensed premises. Other firms in the sector are looking to consolidate to share costs and combine two leading brands. This trend is set to continue until a few large well established companies with a familiar brand will dominate the market. At the time of writing there are two major deals being discussed in the UK betting industry which will involve the merging of Coral and Ladbrokes and Paddy Power and Betfair. Competitive video gaming had its foundations in the 1980s. However, in the following decade eSports competitions became national events. The most important technology for eSports growth has been the internet. In 2015 134 million people will watch a competitive vide event. The market is now worth $612 million and more wagering is a logical progression. By 2020, betting on eSports will be bigger than ever. Within five years the eSports wagering market could be worth as much as $3.3billion. Online live streaming video will make the activity more suited to in-play betting. Europe’s liberal regulatory approach is another reason why more sportsbooks are offering odds on eSports. Wagering online on eSports is prohibited in the United States but individual states may soon introduce legislation to regulate it. Research has indicated that by 2018 it is almost certain the majority of bets will be in-play, and an even greater proportion will be placed using an app on a mobile phone. Customers betting on a mobile are generally more recreational and more spontaneous which means they lose more. Casual, recreational punters are increasing at a fast rate and mobile technology has helped with that trend. Mobile technology will continue to improve to provide a more effective platform for casual betting. Most mobile users use two betting accounts on more than one third are likely to open one more account. That is an indication that there is room for growth and betting companies are more likely to focus on mobile versions than desktop websites. Football is more profitable than horse racing and the total amounts wagered on the sport is set to continue to increase. Gross win margins are higher on in-play mobile football betting than pre-match betting on desktops. In future spontaneous bets during a football match or to a lesser extent other sports are the most likely to be placed. Odds comparison is not a factor for the modern bettor and half of customers who bet online rarely compare odds. When watching a match live bettors are likely to have one betting account open and not move to another after comparing the odds. In-play betting by its very nature lead to volatile markets and price fluctuations so there is just not the time to make comparisons. Marketing more than favourable odds will have more impact on dei which company to use for in-play betting. Betting has become a political issue in many European countries but specifically the UK. The Press and government have attacked the industry through higher taxing and identifying the social issues. The major bookmakers have responded by focusing on responsible gambling. All the online betting companies have links to organisations that provide support to problem gamblers. Major advertising encourages bettors to stop when it is no longer fun. The new buzzwords are education, fun and engagement. Young people in particular communicate in a different ways using smartphones and social media. Twitter and Facebook may have had their day but something will come along to replace them. Bookmakers will target a young market by presenting betting as fun. The new breed of bettor will have more demands on their financial resources and engaging them will be one of the major challenges for the industry. Bitcoin may disappear but other virtual currencies will be developed to take advantage of the benefits of buying and selling in this way. Peer-to-peer transactions are cheaper than the more established payment methods. More bookmakers will allow customers to bet with a virtual currency because they are anonymous and cross financial and geographical borders. Bookmakers will increasingly let customers bet on actual matches using a virtual currency. Users can place bets through their smartphone and earn extra coins or notes from winning bets. 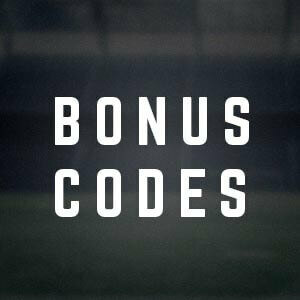 They can invite friends to bet with them and take advantage of special offers. Competing against other individuals using a virtual currency is set to increase and results can then be reported on social media. The betting landscape will continue to change over the next decade. People transact for goods and services in a different way to at the start of the millennium. Mobile in-play betting using a virtual currency and then recording results on social media and engaging seems to be the most likely betting scenario of not long into the future. To get to know more about whats NEXT in the betting industry read our latest views on the NEXT generation of betting.